Well, I’m sure their pictures from last night are much better, but here are a few I took from the Walnut Street Bridge. The drawbridge in the pictures is the Market Street Bridge. The red, white, and blue mansion is the Hunter Museum. We passed by it as we walked back to the car, and right before it started pouring rain! We love our city. We love our river. We love our country. The following is the email sent to me from Mayor Andy Berke, the Mayor of my city, Chattanooga. I wanted to share it with all of you so that there would be no misquoting him. It is my personal opinion that Mayor Berke is doing nothing more than jumping on a political bandwagon while the chance for getting points from his left-wing constituents is highest. Had this been an issue – ever – he would have brought it to our citizens years ago. You can read my response in the conclusion of this post. Last weekend I watched in horror and dismay as events unfolded in Charlottesville. That feeling was compounded as the President failed his leadership test to condemn bigotry and domestic terrorism. As I sat glued to the headlines, I thought about how the basic American values I had been taught by my family and my teachers — equality, liberty, community — were being subverted before our very eyes. One thing is certain — racism, hatred and violence don’t belong in any American city, and that includes Chattanooga. Our city opposes white supremacy in any form and under any name, and we expect the same from our leaders. That’s why I have asked our City Attorney to file paperwork to remove the City as a trustee of the Confederate Cemetery on Third Street. Owned by a trust, the city was named as trustee of the cemetery by a local court as far back as 1942. Our city should be invested in our future, not a discredited past. Confederates fought against America to preserve slavery. That is the truth, and we should no longer subsidize any myths to the contrary. This action today makes it clear that the City of Chattanooga will not condone any traces of the racism that taints our past. Our city is not immune to challenges, and we have proven that we can rise to the occasion by coming together, united. It’s time to act. Speak up, donate to groups fighting white supremacy, and call your elected officials. 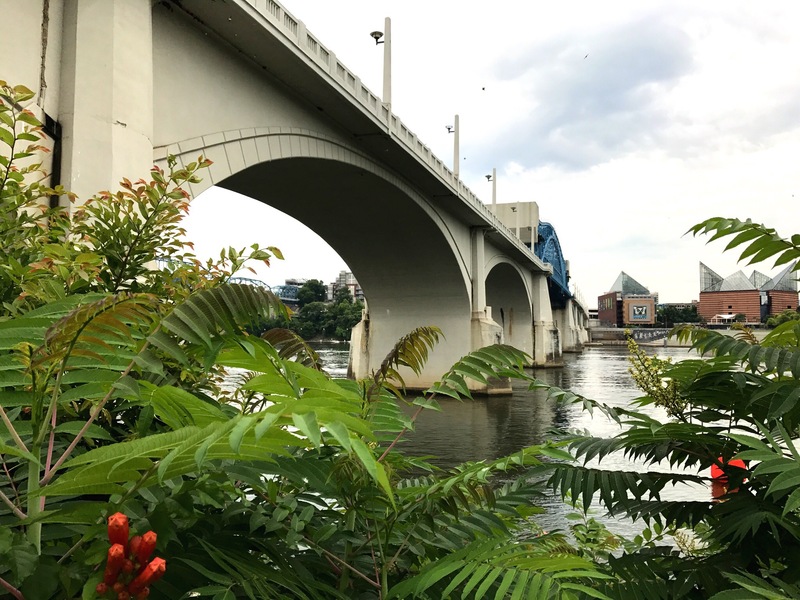 Get involved with nonprofits in Chattanooga that are working every day to improve lives like Urban League, NAACP, the Jewish Community Center, the Islamic Center, TN Valley Pride and La Paz. Respond with action — the Southern Poverty Law Center offers this guide of 10 ways to fight hate. That’s not all we can do. Today, report discrimination, get involved with the Ed Johnson Project, become a fair housing tester, and work on Chattanooga’s MLK Day of Service. 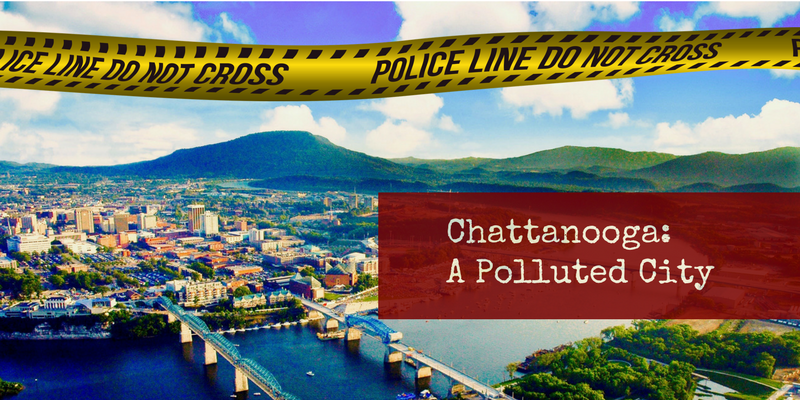 Now, more than ever, it is important that we remain a Chattanooga united for progress. Your desire to absolve the City of Chattanooga from taking care of the Confederate Cemetery is an affront to Chattanoogans, including the ones buried in those graves (and not all buried there were Confederates). Should you file the paperwork and go ahead with your plan, keep in mind that you are doing a disservice not only to our deceased loved ones, but to those dead who were officially recognized by our federal government as American soldiers. “Every soldier’s grave made during our unfortunate civil war [sic] is a tribute to American valor… And the time has now come… when in the spirit of fraternity we should share in the care of the graves of the Confederate soldiers… and if it needed further justification it is found in the gallant loyalty to the Union and the flag so conspicuously shown in the year just passed by the sons and grandsons of those heroic dead.” …President William McKinley, 14 December 1898. And considering the previous words of President McKinley, I think it would be wise to think pro-actively as to preserving and protecting certain monuments and statues on City property. It may come as a shock to you, but it was just in 2010 that the Veterans’ Affairs Office spent money allocated to them by President Obama’s Recovery Act of 2009 to restore 5 Confederate monuments (see link to V.A. memo HERE). Congressional Appropriations Act, FY 1901, signed 6 June 1900 Congress gave approval to the Secretary or War to have 264 Confederate dead relocated and laid to rest in the national cemetery in Arlington. This included the purchase of headstones. Congressional Act of 9 March 1906 (P.L. 38, 59th Congress, Chap. 631-34 Stat. 56) Authorized the furnishing of headstones for the graves of Confederates who died, primarily in Union prison camps and were buried in Federal cemeteries. U.S. Public Law 810, Approved by 17th Congress 26 February 1929 (45 Stat 1307 – Currently on the books as 38 U.S. Code, Sec. 2306) More grave stones approved. Turning your back on the dead is a disgrace to their families who picked up the Red, White, and Blue in the “spirit of fraternity” and reconciliation. I would suggest you stop listening to the voices of anarchists and paid protesters and start listening to the voices of history. Two years ago, today, a man drove around in his convertible Mustang and shot up my town. His goal was to kill as many servicemen as possible, so first he drove by the recruiting office on Lee Highway and unleashed a hail of bullets into the glass-fronted building. The “No Weapons” sticker applied to both serviceman and citizen alike, so no one was able to stop him before he drove off. I stood here and wept as I took this picture. Note the green marks where spent shell casings lay. The next place he went to was the Marine Corp/Navy Reserve training facility on Amnicola Highway, right between the community college so many of us have attended and the riverfront bike trails and pavilions so many of us have enjoyed. 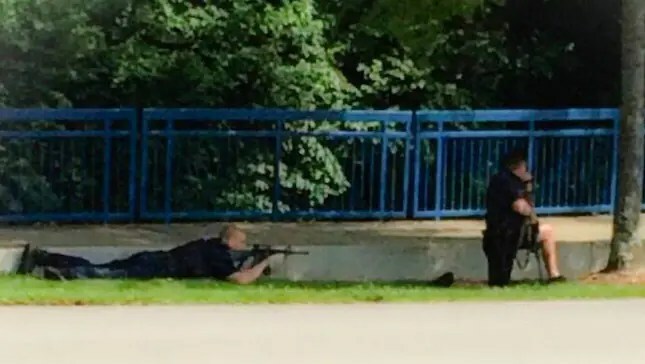 There the Muslim terrorists – for that is what he was, and that is what he intended on being – once again began firing on unarmed Marines and sailors with his high-powered semi-automatic rifle. At least one Marine had unofficially brought his personal sidearm with him that day and tried to stop the terrorist, but to no avail. Before long four Marines lay dead. A Navy sailor would later succumb to his wounds. 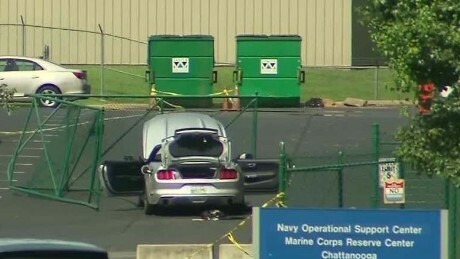 The local police in Chattanooga sped to the location where the terrorist was committing murder and engaged him with their own weapons. Bullets from the conflict left holes in buildings as far away as the Coca-Cola offices across the highway and not even in view of the firefight. But before long, the self-proclaimed jihadist lay dead, too. Within the hour my city was the focus of world-wide attention. Terrorism had come to the South, and it was worth noting. But what was also worth noting was the righteous indignation of our citizens, and the flickering flames that dared the enemy of freedom to fan us into a raging fire. We were shocked by what happened, but we were far from terrorized; we Tennesseans aren’t the type to retreat from a fight. It wasn’t long before the first American flags started appearing at the two places where gunfire was exchanged. In no time there were hundreds, and then there were thousands. Flags and mementos too numerable to count turned into defiant monuments to those who died protecting our freedom. Tents were erected to shelter the thousands upon thousands of flags, letters, and memorabilia from the weather. It wasn’t long before black, white, and every other color and faith united arm-in-arm as family, as Chattanoogans… as Americans. In short, terror didn’t have it’s desired effect; it had the opposite. Skip forward two years and a few months after a presidential election. What happened to the unity? Unfortunately, we are now divided more than ever. What the terrorist couldn’t do with his guns, politicians and the media, with weapons of jealousy, anger, lies, and hate, are succeeding. Unconquerable from without, we are being destroyed from within. Chattanooga, are we still strong? Then let us come together once again as Americans, or else the “fallen five” will have fallen in vain. This is the third time I’ve edited this post in an hour. It’s just hard to write. No, we can never stop the bad news; all we can do is decide what we’re going to do with it. This morning I received some tragic news of a police officer getting shot and killed…by other police. I wish now I could have met him, but he worked a shift I haven’t yet visited. I have reasons for why I haven’t, but that doesn’t change anything. I’m a police Chaplain, that’s what I’m supposed to do: visit with all the officers I can, to minister to them in some way, if possible. But I didn’t with this young man. Now he’s gone. It’s in the hands of a merciful God. That’s all I know. I can’t go back and change what happened, what I did or didn’t do, but what I can do is look to the future as I keep my eyes on Jesus, my eyes wet with tears for the lost.